The first trailer for “Moana,” Disney’s latest animated movie, just debuted. 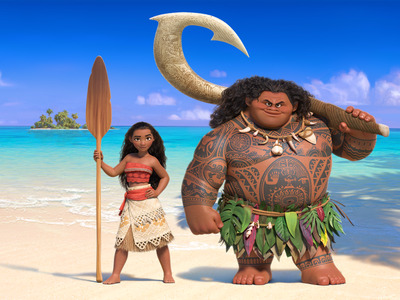 In the latest addition to the Disney princess canon, Moana (Aul i’i Cravalho) sets sail for a fabled island. Joining her on the adventure is the demi-god Maui (Dwayne “The Rock” Johnson). Notably, Lin-Manuel Miranda, the creator and star of “Hamilton,” wrote some original music for the movie. His “Hamilton” co-star Phillipa Soo also stars in a still unnamed role.